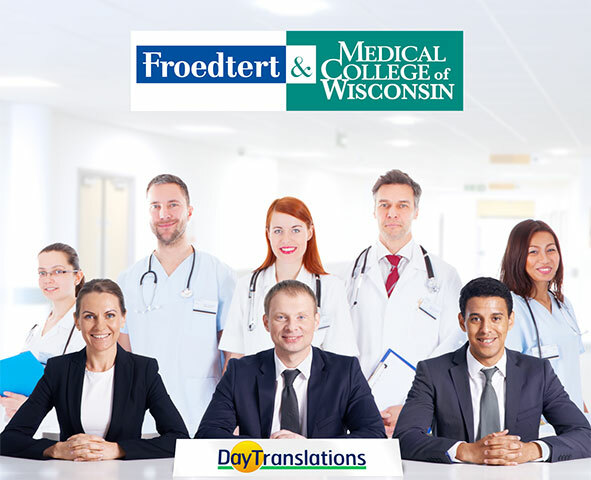 Day Translations is proud to be Froedtert & Medical College of Wisconsin’s http://www.froedtert.com/) translation and interpreting services provider. Listed in 2014 as the top hospital in Milwaukee and one of the top two in Wisconsin, Froedtert hospital is one of the main organ transplant centers in the region. The hospital’s Endocrinology and Respiratory Disorders areas are among the best of their type in the entire country. Day Translations specializes in medical translation and interpreting, providing professional linguistic services that facilitate seamless communication between Froedtert’s healthcare staff and patients, regardless of the language spoken.With a team of language professionals who specialize in medical translation in over 100 different languages, Day Translations joins Froedtert & Medical College of Wisconsin’s mission to offer first-grade medical services and care to every patient who walks through theinstitution’s doors. 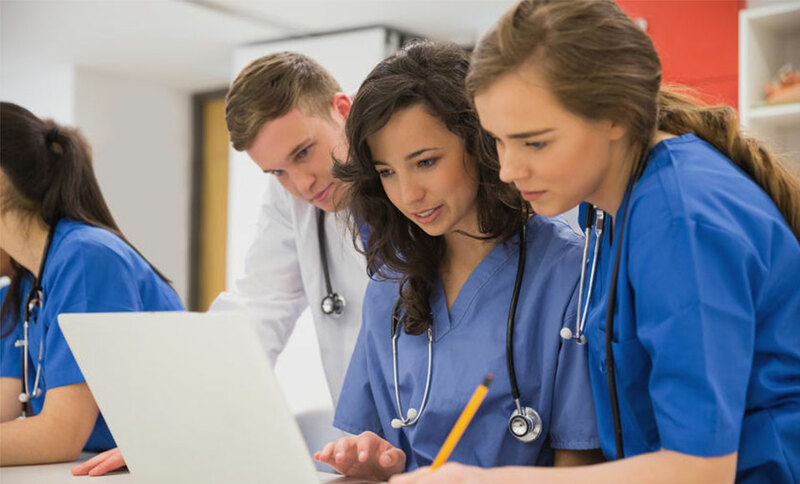 Day Translations has partnered with Froedtert & Medical College of Wisconsin because we also believe in the importance of high-quality medical services. Limited English Proficient (LEP) patients undeniably need the help of a professional linguist to access critical medical services at the standard that is offered by Froedtert—we are keenly aware of the essential nature of this support. According to the National Center on Immigrant Integration Policy, limited English skills were present in approximately 9 percent (25.2 million people) of the total U.S. population over the age of five years in 2010. As a consequence of such data, an increasing number of hospitals and healthcare centers are choosing to outsource their translation and interpreting needs, while others create in-house linguistic departments. At Day Translations, we offer professional medical translation and medical interpreting services. Many years of experience in the field mean that our language professionals use a deep understanding of the subject matter to ensure a clear and accurate use of terminology. We understand that medical services are often urgent, so we make sure that we are always available to you. You can contact one of our representatives at any time to receive a free quote within 10 minutes. Translate any Independent Medical Examination (IME) for your employment purposes. We help aid communication among medical personnel and patients who do not fully speak a language.